When someone you care about is going through a difficult time, send a gesture of your support with a gift of comfort food. 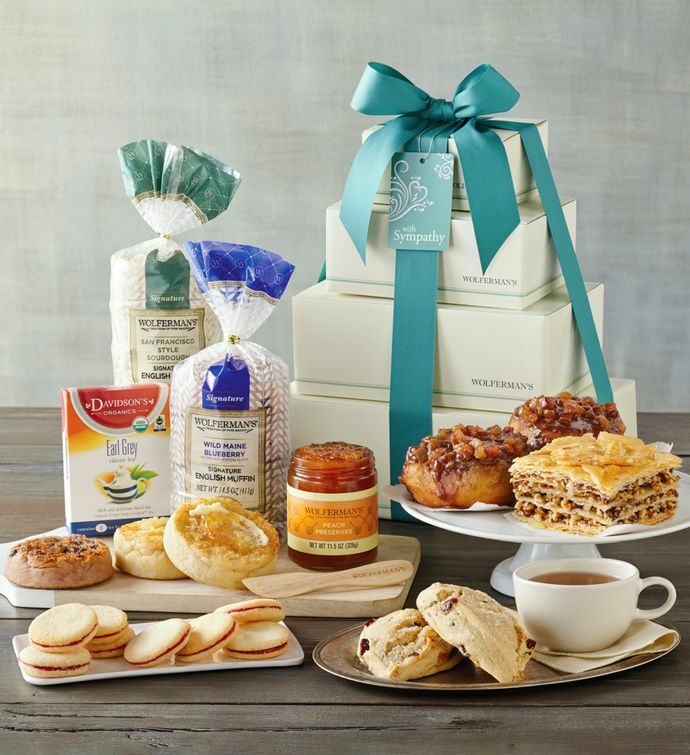 Included in this tower are two varieties of our super-thick signature English muffins, apple sticky buns, baklava, Earl Gray tea, and more. It all arrives tied with a ribbon and bearing a "with sympathy" tag to express your condolences.